Welcome to Boston, the Cradle of American Liberty. 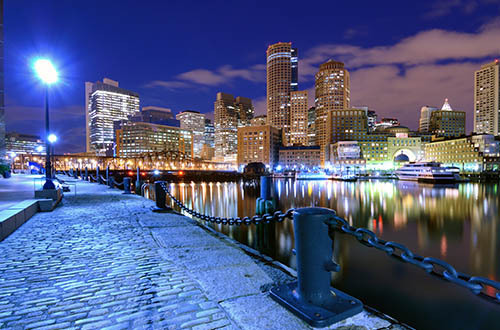 Upon arrival at Logan International Airport, transfer independently to your hotel where will you will meet your ATI Tour Director. whose landscape is dotted with enchanting covered bridges, picturesque towns and villages, and historic sites. Enroute experience breathtaking mountain vistas, pristine forestry and world renowned foliage. 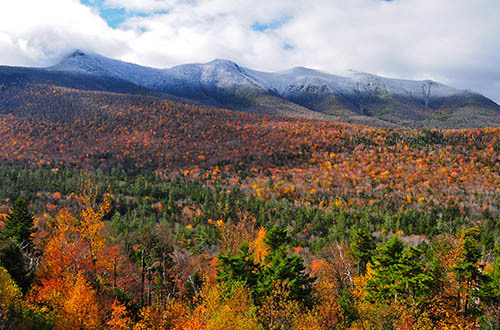 Today, traverse the White Mountains that divide the states of New Hampshire and Vermont to Stowe, a classic 200-year-old village nestled beside Vermont’s highest peak, majestic Mt. Mansfield. Continue through Burlington on Lake Champlain and stunning views of open meadows, farmlands and forests to Vermont’s Green Mountains. With their dense forests, the Green Mountains are home to bears, moose, wild turkey, and deer. Leaving Vermont, you’ll enter the smallest state in the Union, Rhode Island. Home to spectacular coastal scenery and awe-inspiring architecture, Newport is considered by many a shining gem in the coastal crown of New England. And nowhere is Newport’s natural beauty more on display than on its Cliff Walk. Here, between the pounding surf of the Atlantic Ocean and sprawling lawns sit the famed Gilded Age mansions that once were the summer playgrounds for socialite families such as the Astor’s and Vanderbilt’s. Visit one of these opulent mansions for a glimpse into the lavish lifestyle of the privileged from a bygone era. This evening, a classic New England Clam Bake brings the shore to straight to your table (optional). From the opulence of Newport you’ll continue to the unspoiled natural beauty of Cape Cod where picturesque beaches with high sand dunes, never-ending sea, lighthouses rising along the coast, and gorgeous sunsets await. A short 45 minute ferry ride from Cape Cod, Martha’s Vineyard is the jewel of New England. Spread over 100 square miles are six towns, each with its own proud history and unique character, historic sea captains’ homes, charming gingerbread cottages, a quaint fishing village, five majestic lighthouses and the nation’s oldest operating carousel. While exploring miles of pristine beaches, dramatic clay cliffs, rural landscapes and picturesque waterways you’ll find Martha’s Vineyard is more than just lobsters and clams. Today begins with a visit to Plymouth, the town where English colonists first made a home in New England. See Plymouth Rock, where according to tradition, the passengers of the Mayflower first set foot in the “New World,” views of Plymouth Harbor and the Mayflower II, a replica of the original Mayflower (onboard admission not included). Returning to Boston, you’ll retrace the steps of the Freedom Trail, which may include a stroll beside Boston Common, King’s Chapel, the Boston Massacre site, and numerous pubs and taverns where America’s Founding Fathers toasted freedom. Enjoy lunch at one of Boston’s many restaurants where you may wish to try a steaming hot cup of traditional New England Clam Chowder (not included). Afterward, explore Boston’s first marketplace from the 1800’s, Quincy Market, which today is home to boutiques, cafes and shops. Today you’ll board Amtrak for the short but scenic rail journey into Manhattan. 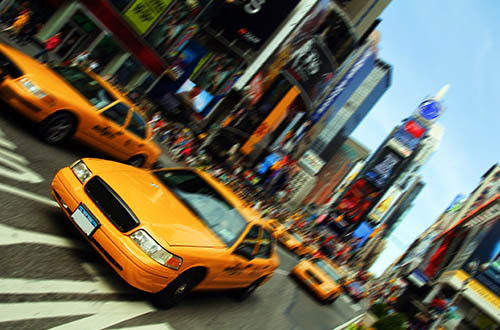 Upon arrival, transfer independently to your hotel. The remainder of the day will be at your leisure. From the United Nations to Times Square, Harlem to Battery Park, Chinatown to Museum Mile, and the Empire State Building to the World Trade Center Site, a hop-on, hop-off double-decker All Loops Tour will provide a terrific introduction to the city. Should assistance be required, an ATI Tour Director will be available throughout the day.